So I had a really fun and nerdy weekend. For starters Friday, May 4th, was Star Wars Day. This is an excellent holiday because not only can we celebrate our Star Wars love, but it involved a bad pun. (May the Fourth be with you!) 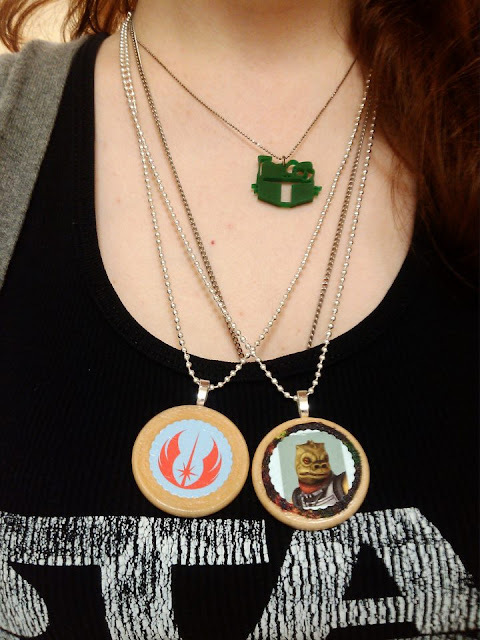 So I had to weird my coworkers out with my nerd pride. I also made myself a galaxy far far away skirt. I've been obsessing over galaxy print things but they're so expensive right now. But I'm crafty so I will make my own galaxy print things, so there. 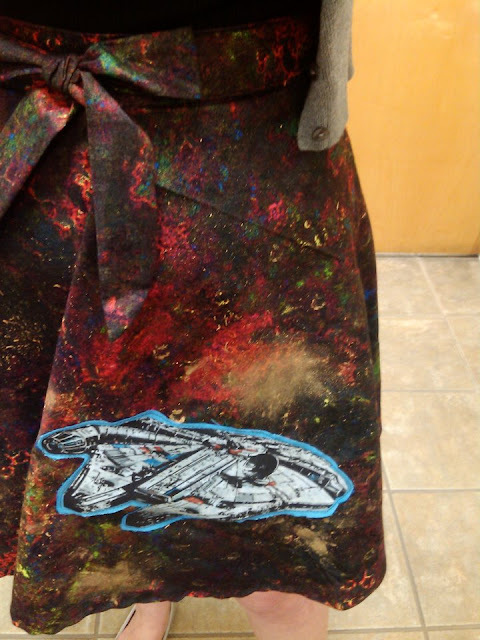 This awesome multi-colored print was a lucky find and is prefectly galaxy looking after being splattered and smudged with metallic gold fabric paint. (I think it needs some glow-in-the-dark paint too.) I made an easy circle skirt and attached a Millenium Falcon from a bedsheet set. 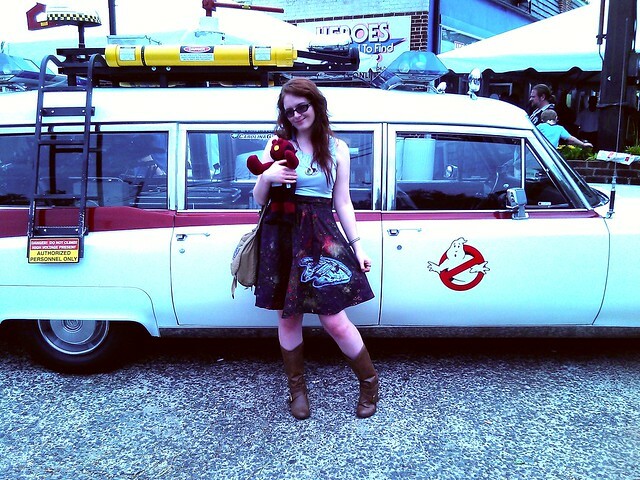 Yeah, I have a Star Wars skirt and a stuffed Hellboy and I'm standing in front of the Carolina Ghostbusters Ecto-1. Jealous? We stopped by Rebel Base and Heroes Aren't Hard to Find in Charlotte. I got to talk to a couple people who had seen my stuff at the last HeroesCon, which was awesome. I am so ready for it to be convention time! 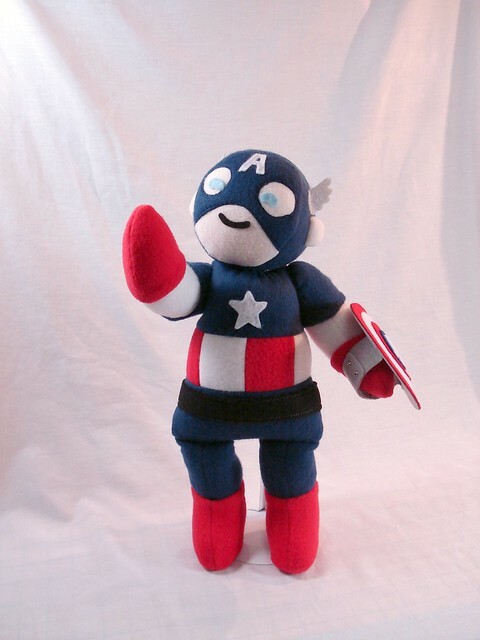 Our weekend was rounded out by, of course, going to see Avengers. I hope everyone else had a fun and geektastic weekend! 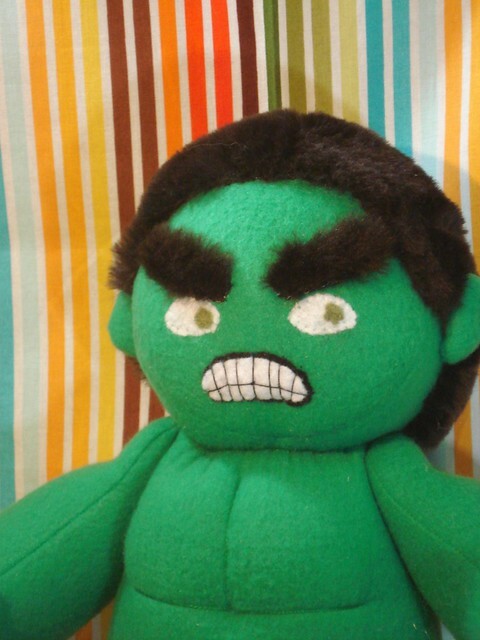 Handmade Stuffs SMASH! The skirt came out AMAZING! You are really talented...next year in prep for May 4, you should try selling some of your stuff. I, for one, would be interested in my own skirt! The skirt looks awesome! And thanks for tagging us! Such subjects for the carrying out your holidays were unexpected enough, but interesting. 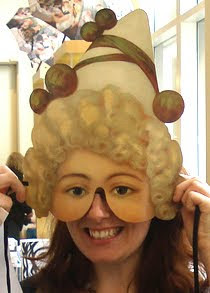 This made it possible to entertain yourself and the others.